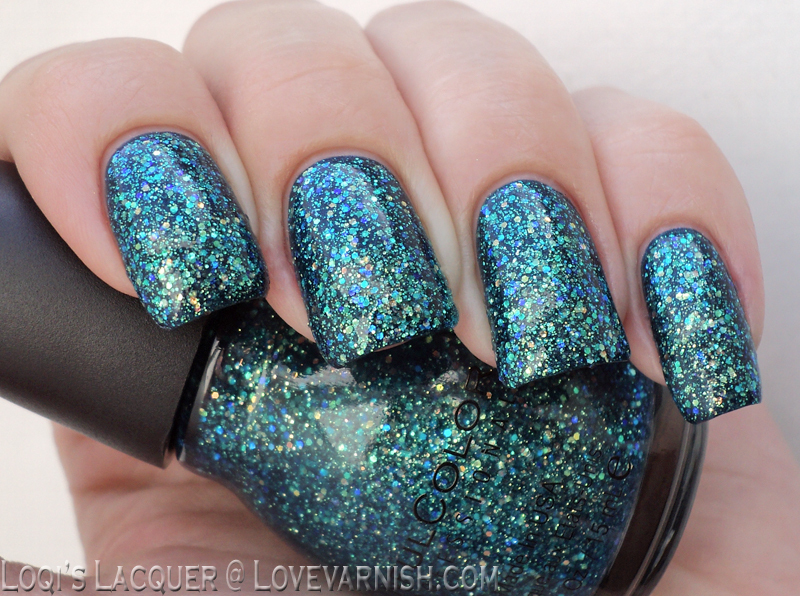 Love Varnish: Sinful Colors Nail Junkie & Jewelry! Sinful Colors Nail Junkie & Jewelry! So what I've got for you this week is a Sinful Colors polish I picked up last week and some nail polish jewelry I made with it! The polish I picked up is called Nail junkie and Deborah has already shown it to you here before, but it is such a pretty polish, another post can hurt right? 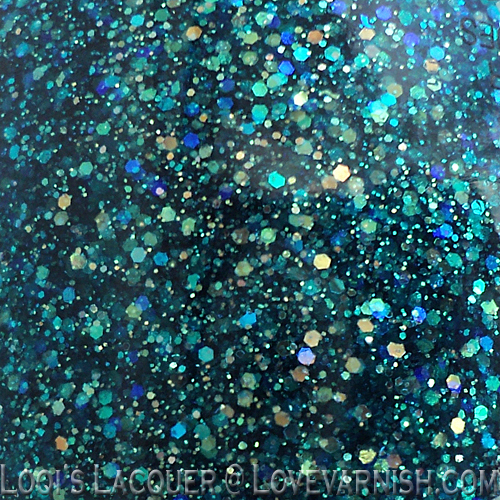 I was so in love with this polish when I bought it that I immediately wanted to make some jewelry with it. 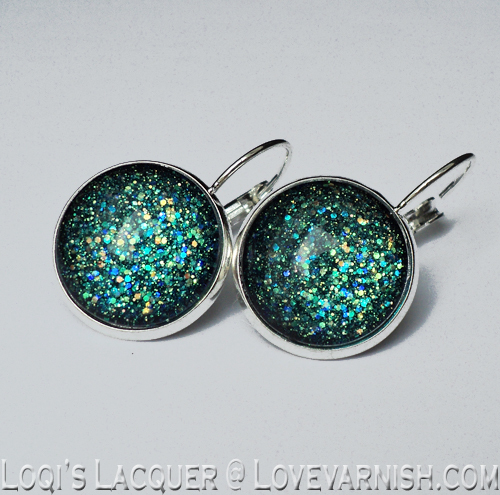 Since I already have a nice blue pendant, I thought I would make some earrings. These turned out so great (if I may say so myself) that I decided to make a matching manicure with it and wear them for my boyfriends birthday party we had this weekend <3 nothing wrong with treating yourself a bit too right? For the earrings I used 4 coats of Nail junkie and then backed it with a coat of China glaze Rodeo fanatic, for my nails I used 2 coats of Rodeo fanatic, 2 coats of Nail junkie and a coat of topcoat. I hope you guys like it as much as I do and see you next week! Awesome manicure and the earrings are to die for! I love Nail Junkie, it is delicious, and it looks gorgeous over Rodeo Fanatic. How did you learn to make jewelry from polish? 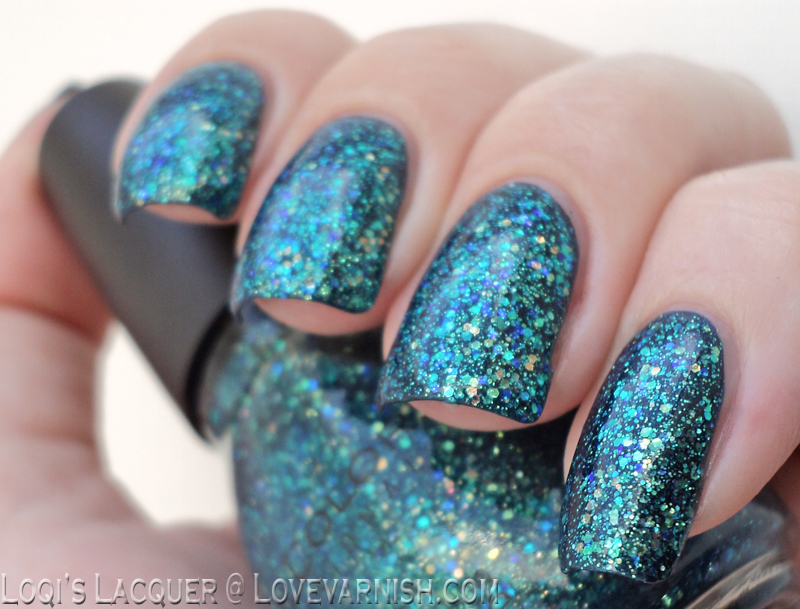 I am in love WITH THIS on your nails! Gorgeous! Nail Junkie is one of my favorite polishes! Thanks Monica! It's one of mine now too! 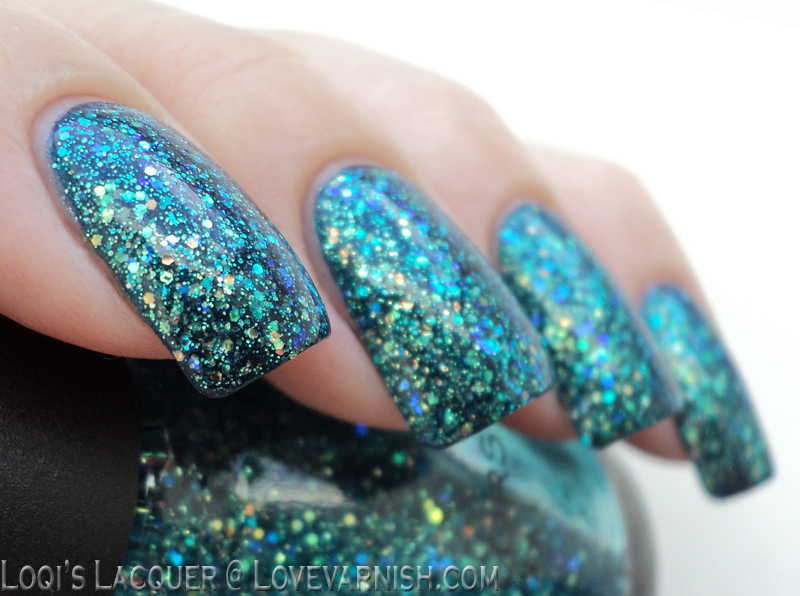 Oh my gosh, so pretty! I would love this shade and your earrings turned out so gorge. Now I want to make a pair!